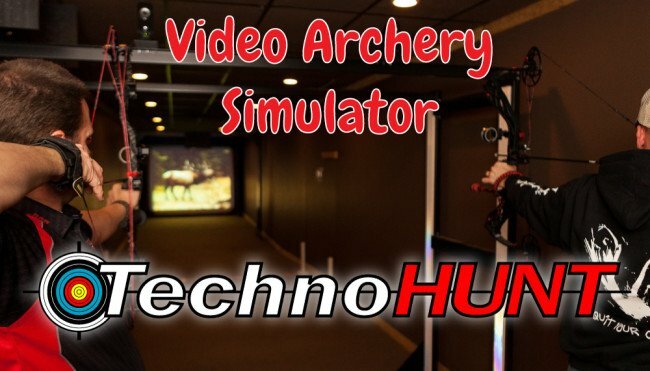 TechnoHUNT is a thrilling interactive target-shooting environment that transports you to the farthest corners of the world, letting you virtually hunt game many only dream of. 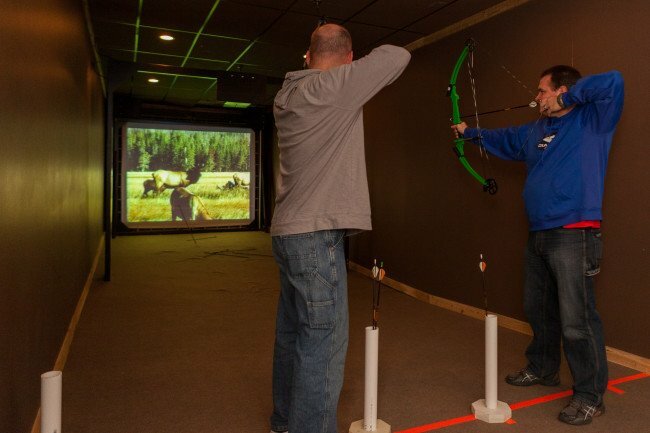 Care to try your skill at hitting a target when the wind is attempting to blow your arrows off course? 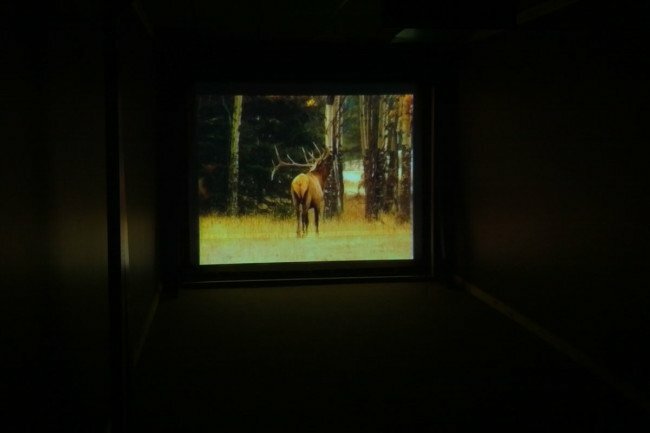 Think you can hit that whitetail deer through the trees at 30 yards? How about 40? These are but a few of the amazing experiences the TechnoHUNT simulator can offer. Pricing is per 1/2 hour of shooting – $12 for 1 person, $10 per for 2 people and $8 per for 3 people. 6 round punch cards are available for $39.99. You can book your time slot with our online booking system. Customers must have their own equipment and be proficient shooting at a distance of 20 yards for a standard TechnoHUNT session. New to archery or not comfortable at 20 yards? 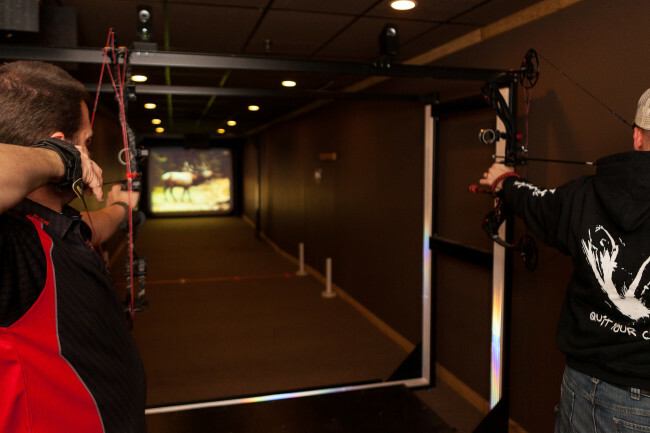 Try our Virtual Hunting Experience for 2. 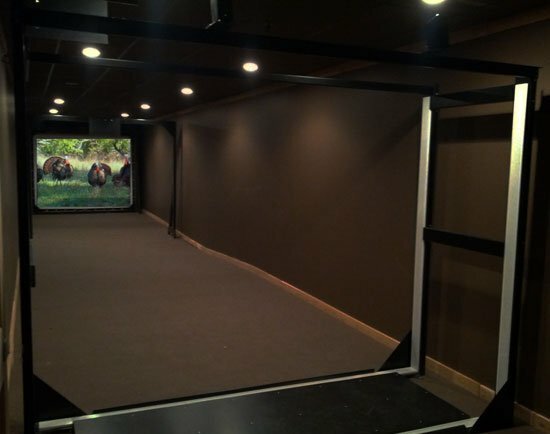 It includes rental equipment, basic instruction, time on our normal range to get used to shooting and a 30 minute TechnoHUNT shoot at 10 yards. Our TechnoHUNT League consists of 10 weeks with each week having 25 scenes. A banquet is provided at the end of the league. Your weekly round can be shot any day of the week, but an appointment is required to ensure availability when you come in to shoot.